I am very thankful to Ronit who suggested I get in touch with Liron to help me lose some weight. I was quite desperate, had no control whatsoever, wouldn’t stop eating the worst foods possible, yet I needed to lose weight before my son’s wedding. I should or should not eat. I had always believed that nobody could help me, only I could help myself. I also thought, how could this possibly work if we only chat on skype. But I decided to give it a go. As soon as I spoke to Liron my attitude changed. I told Liron that I’d like to lose 12kg to 15kg in 8 or 9 months and she told me it was possible. I enjoy our skype sessions and look forward to them each time. I’m on my 10th week now, and this morning I weighed 10 kilos less than what I did 2 months ago, and what amazes me till today is that I eat more food than I have ever eaten in my previous diets. That is what Liron has taught me, to eat well and stay healthy, she has given me lots of ideas, suggestions on what to eat when we go out for dinner, how to handle meals during “chag” etc. I also drink a lot of water, which I have never done before. I know I should be exercising more, but unfortunately I do not enjoy any sports at all, I’m happy to walk with my gorgeous dog everyday which I suppose is better than doing nothing. I hope in the future I will be more active. So Liron, thankyou, for all your help, this has been and still is a wonderful journey for me, and an easy one. I am a happier and more positive person. 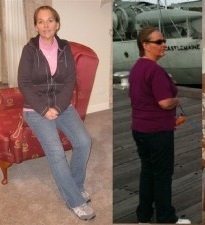 I feel I will reach my goal weight and I am optimistic that this time I will keep my weight off.